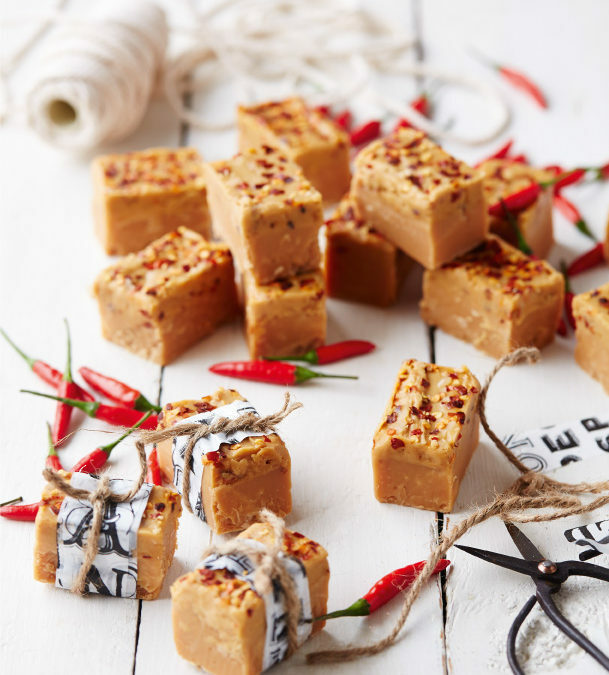 This combination of chilli, peanut butter and fudge is completely irresistible. The chilli ‘bite’ will become more intense after a while – be careful! Grease and line a square 25 cm baking pan very well. Heat the sugar, butter, golden syrup and milk in a saucepan on medium heat and stir to dissolve the sugar. The mixture must not boil at this stage. When all the sugar has dissolved, bring the mixture to the boil and boil for 5 minutes. Add the condensed milk and boil, stirring regularly, until the mixture reaches the soft ball stage (118 °C). Remove from the heat, add the vanilla essence and beat with a wooden spoon until the mixture starts to thicken. Pour into the prepared baking pan. Cool slightly while you make the topping. Heat all the topping ingredients together in a saucepan on medium heat until melted. Mix well and then spread the topping over the cooled fudge. 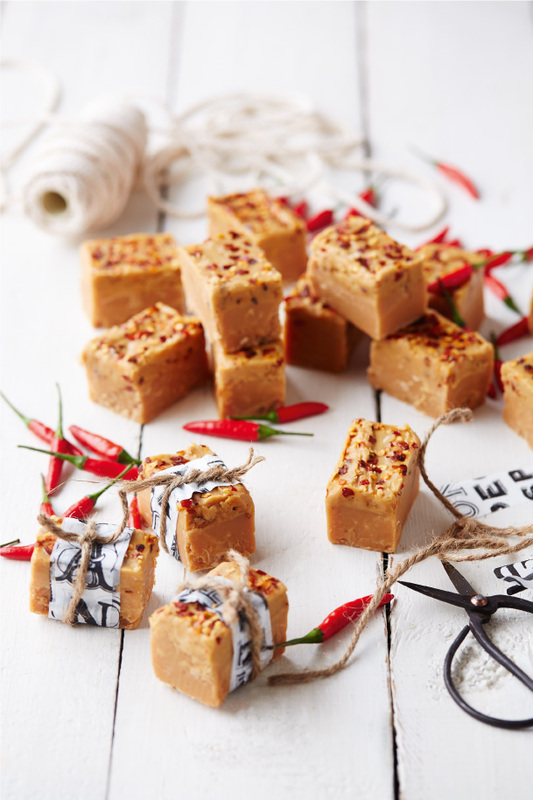 Sprinkle some more chilli flakes over the fudge before it sets. Cool and cut into squares or bars as soon as the peanut butter topping is set.